QOTW: What did you buy on Black Friday 2017? The biggest shopping event of the year is here. Black Friday is upon us and retailers around the world are promising offers too good to ignore over a four-day period culminating with Cyber Monday. Some reports suggest that online shoppers in the UK alone will splash out a combined £9,068 per second, and when you add in-store transactions to the equation, we are expected to spend £7.79 billion before Regular Tuesday comes around. Despite the doom and gloom surrounding the economy, that's a seven per cent increase on the £7.28 billion spent last year. 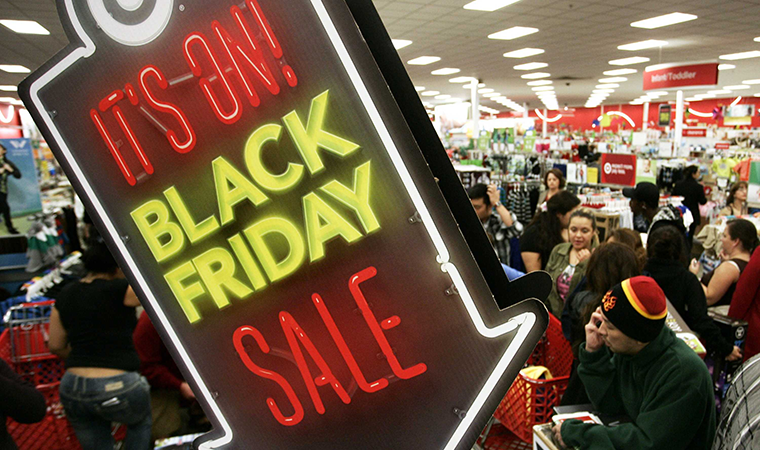 Love it or loathe it, Black Friday has become a major event on the annual calendar and it's always interesting to watch the day unfold. I've managed to keep my wallet in my pocket for now, but what, if anything, have you bought on Black Friday 2017? Let us know using the comments facility below. But so far I have bought 2 copies of Just Cause 3 on steam so I can play the free multiplayer mod with my friend. I think it was £4.49 for each copy, or somewhere in that region anyway, not bad at all. Amazon dropped it down to £50 and I had a £10 off £50 minimum spend voucher. I posted that deal and a few others in that section. 2) ASUS DSL-AC68U AC1900to replace my standard Talk talk router which is rubbish (hope this is better). Think I'm done. No money left.